Its body is silver to grey color with black lines (or markings) that form a patter on its body. It will also have a black strip with a silver trim across both eyes. The back ¼ to 1/8 of its body will be a solid orange color without any markings. They are a peaceful for the most part but can become territorial. 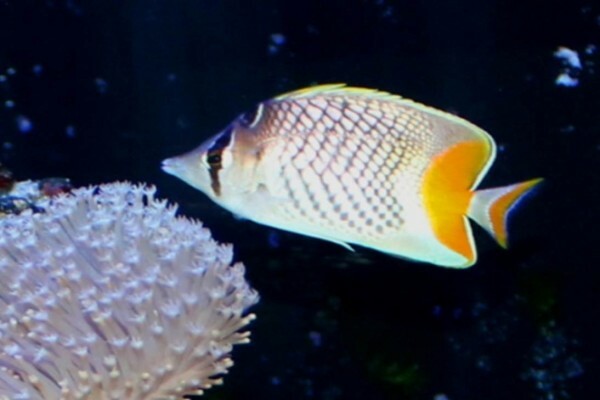 When kept with other types of Butterflyfish, they are highly likely to become territorial resulting in some aggression. I would not recommend keeping more than one in an aquarium. They are a fairly active fish that will need at least a 75 gallon aquarium. They are very likely to eat most types of LPS, soft corals, and even nip at clam mantels and even anemones in some cases. 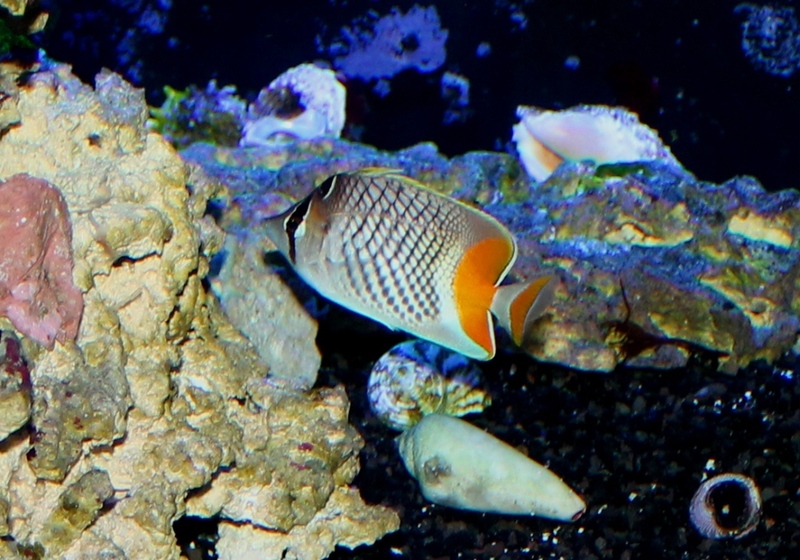 They will do best in FOWLR set-ups with more peaceful fish that do not look like a Butterflyfish. As they are carnivores in the wild, they will do best when offered meaty frozen foods along with a good quality marine flake or pellet food which is intended for carnivores. They will also benefit from a frozen food which also contains sponges.